Albert Einstein was a pretty remarkable guy. There aren’t many scientists of whom we have videos and recordings of speeches who command (and deserve) the same level of respect as people like Isaac Newton and Charles Darwin. To appreciate just how far ahead of his time Einstein was, consider the fact that his paper outlining the principles of General Relativity was published on November 25, 1915 – 100 years and 83 days ago as of this writing – and researchers announced the detection of one of his predictions last Wednesday. 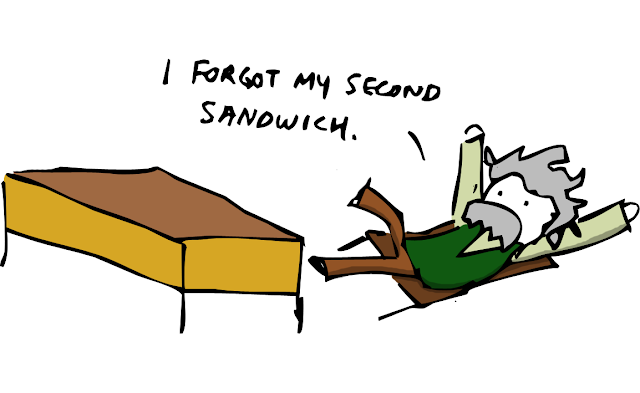 Most of us can’t even predict what we will have for lunch the day after tomorrow. At a time when, outside his office window, he was just as likely to see a horse and buggy as a car, Einstein predicted the existence of gravitational waves. 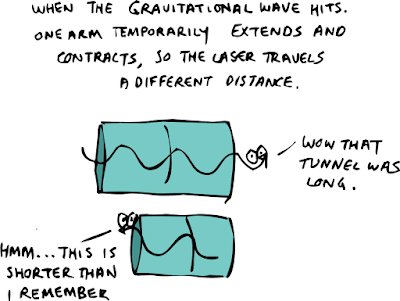 To understand how gravitational waves work, you first need to understand a little about the theory of relativity. If you want a detailed look at some of the weirder parts of this insanely cool model of the universe, check out our two-part discussion on relativity here and here. For our purposes today, all you need to grasp is that Einstein claimed that gravity isn’t a force onto itself, but a side effect of dense matter in space-time. The classic analogy is to imagine a bowling ball on a mattress. The dent made in the mattress by the weight will pull any smaller object you set down towards the bowling ball, and that is gravity. A planet, sun, or black hole distorts the space around it just like the bowling ball distorts the mattress, pulling objects toward it. This idea ran counter to some of Newton’s ideas for complicated reasons you can learn about in this video series. One of the predictions made by Einstein to support this theory was the existence of gravitational waves. Einstein suggested that if two very heavy objects were in motion around each other (imagine two scientists holding each other’s hands and spinning in a circle) they would send radiating waves of distortion out into space like ripples coming off a rock dropped into a pond; only, these waves move at the speed of light. This prediction was kind of a tease back in 1915, because it would have been all but impossible to measure. 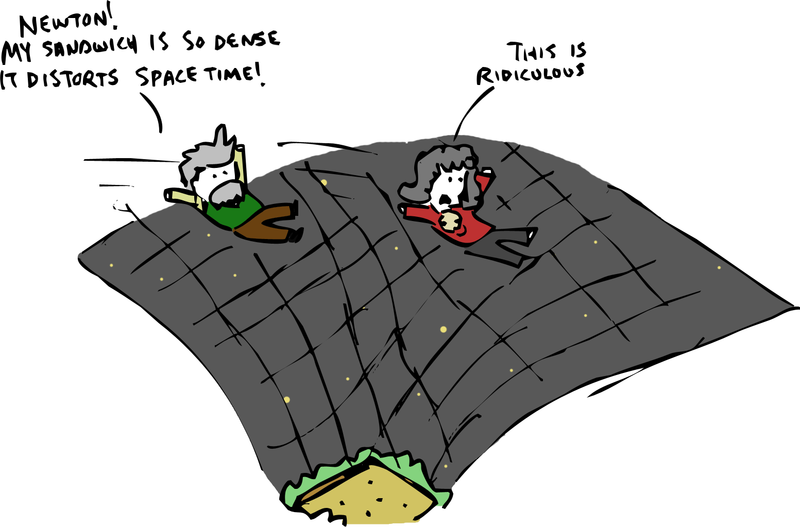 See, the problem with space-time is that we all exist as a part of it. We are not sitting by the side of the pond with a ruler trying to measure the ripples; we are the water. 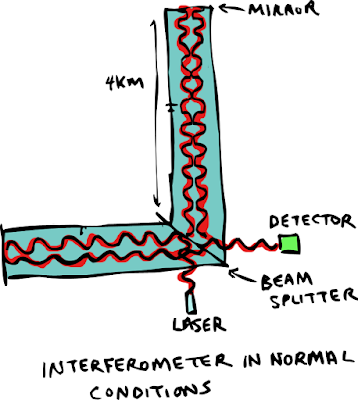 When any instrument you use to try to measure something distorts in perfect unison with the thing you are trying to measure, you’ll never be able to detect anything. 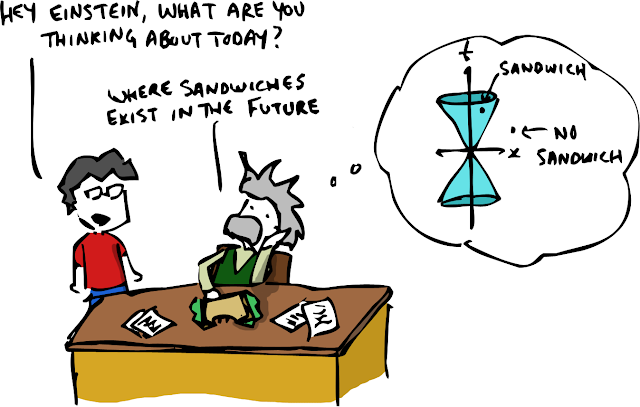 Fortunately, 21st century scientists have figured out a work-around of sorts. To detect gravitational waves researcher built two facilities, one in New Hampshire and one in Louisiana, between which they could compare data. Each facility basically consists of two enormous pipes, each nearly 4 km (2.5 miles) long that are joined at a right angle. 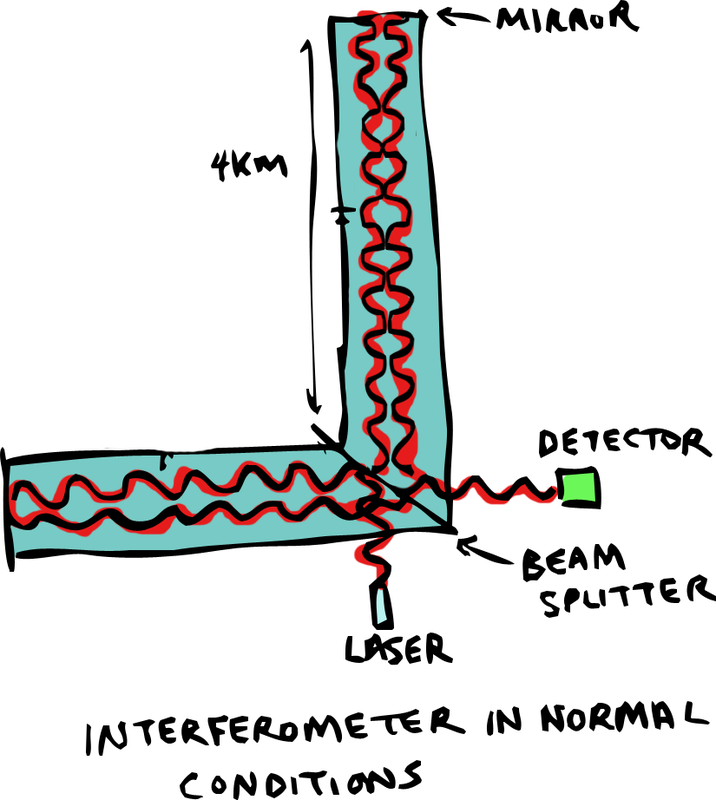 At the joining point is a laser that is split into 2 beams and shot down both pipes simultaneously. At the end of each pipe is a mirror that reflects the laser back to the point of origin. 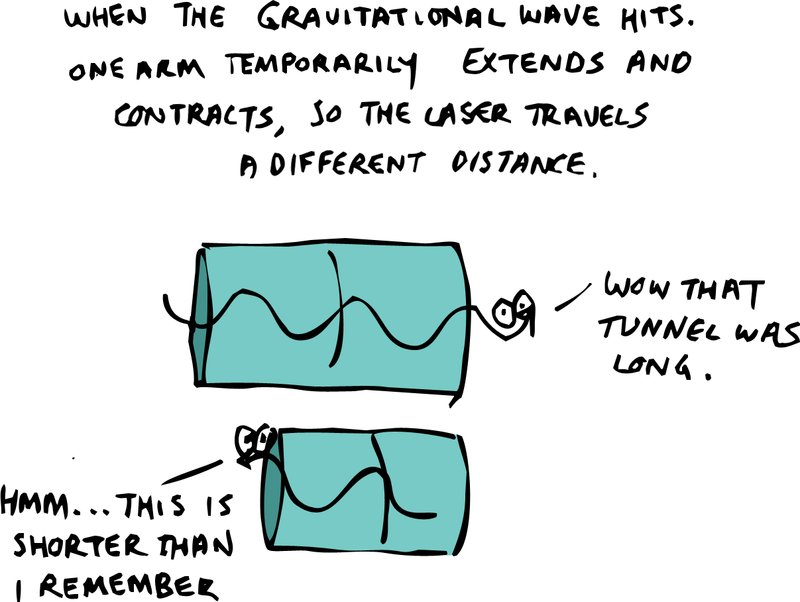 If a gravitational wave were to pass through the pipes, one beam would appear longer that the other as the space it occupies expands; then a moment later, the beams would switch proportions as the space contracts. That is exactly what happened on September 14, 2015. Both facilities, less than one ten thousandth of a light-second apart, observed a gravitational wave pass through them. The wave is thought to have been caused by two black holes that collided over a billion years ago in another galaxy - crazy, right? The great thing about gravitational waves is that they pass through everything they come into contact with without slowing down, so we can detect them from very far away. 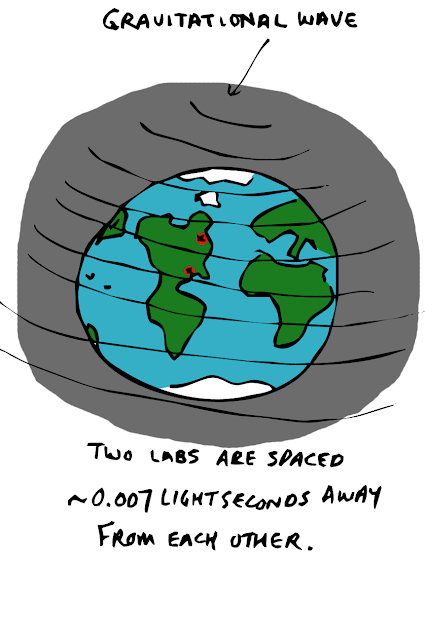 Basically the detection amounts to hearing the sound of black holes colliding. 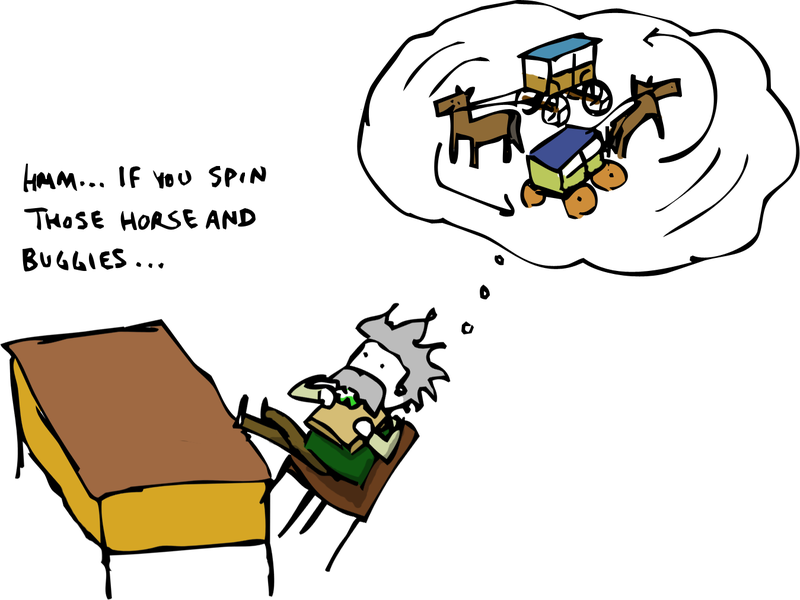 You explained this in such a fun and amazing way. Many people who would've had a difficult time understanding this will now understand it for sure.